On Jersey Shore, there’s a little concept referred to as “t-shirt time”. During said time, the guys on the show prepare for getting ready to go party by lounging around in a wife beater. They do everything in their normal routine except for put on their respective t-shirts, until the last minute where they put it on and finish getting ready. This keeps their shirt from getting wrinkled before they get to the club and, well, provides that type of bro-bonding that one can only find on the Jersey Shore. In a lot of ways, you can think of “Cat and Mouse” as the Grimm equivalent of “t-shirt time”, as a lot seemed to happen but the finishing move has yet to be deployed. And honestly, I’m okay with that. 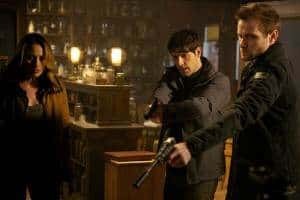 Grimm has been operating on a slow burn once they began embracing serial elements, but nonetheless, it’s had forward momentum that earlier parts of the season lacked. 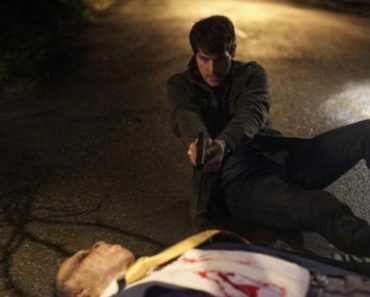 In “Cat and Mouse”, there was a lot of that movement, but for every gunned down body lying crumbled on the floor, there was another slight teasing at what is to come in the final four episodes of season one. Most interestingly, it got very philosophical on the issue of morality, both in terms of which side of himself Nick was going to go with regarding Ian and the entire verrat/lauffer dynamic. I don’t expect socio-political commentary from my spooky Friday night genre shows, but it drew some interesting parallels from the verrat/lauffer to Marx’s concept of the bourgeoisie/proletariat. Waltz’s comment about the oppressed becoming the oppressors was also an allusion to Paulo Freire, a way to take the concepts of fox-people and the big bad wolf and put it in very real world terminology. 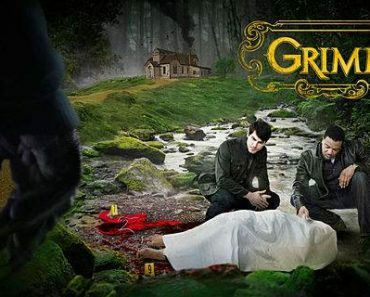 Grimm may be a supernatural show, but it has shown a tendency to try and have its feet as firmly on the ground as possible, which makes the sudden moral dilemmas and philosophical underpinnings a little more believable upon introduction. 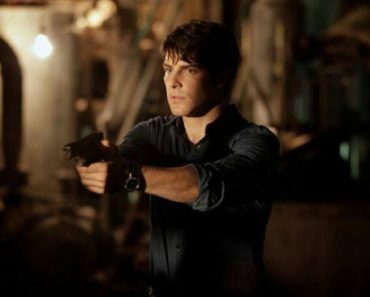 There had always been that gray area hovering around Nick Burkhardt, an area that would leave him with a choice of which Nick Burkhardt he was going to be on a given day. Given how close his worlds have come to colliding, it makes sense for him to finally have to deal with that conundrum and I think he made a pretty in-character move letting Ian go. Nick may be very by-the-book and good at his job, but after going through all the (mis)adventures that he’s been through, there’s no way he’d have given Ian to the police. But having them play with the idea that he could turn his back, even for a half a second, on the likes of Monroe and Rosalee was a smart move, in that it’ll never let the viewer get too complacent. We all know Nick loves his creature friends and that he’s grown having been seeing to his Grimm responsibilities, but there’s that lingering “what if?” lurking around. What if he gets fed up with being a Grimm? 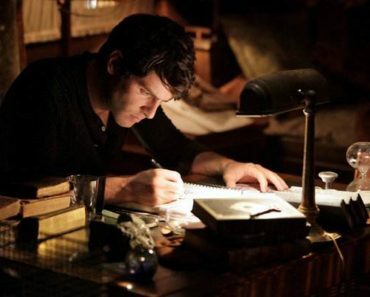 What if his passion for a case outweighs that love for Monroe? What if he believes in the lies Renard is giving him? Just that second they gave tonight is a reminder that as good a guy (and good a Grimm) as Nick may be, he’s not fully in the creature world and probably never will be. Although I’m not a huge fan of the information dump that Grimm can make its guests undergo, all the Wesen history from Ian made what had been going on make that much more sense. You knew that there was some reason, aside from the key, that Nick had been raising the ire of people like Renard and finding out that Grimms typically worked for the seven royal families, all of whom have infiltrated corruptible industries, made for a pretty cool reveal. The royals of the Wesen world want to continue to gain power and the fact that there’s a lone dissenter in Nick has to be a hard pill to swallow; it reminds me a lot of Lost Girl and Bo’s neutrality, which has caused both the light and dark fae to try and persuade her to join their respective side. 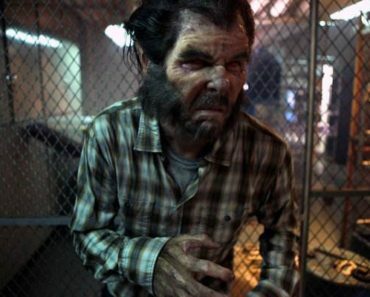 Here, though, Nick’s side is less Team Wesen and more Team Right – he may not be fully in the creature world, but he understands the difference between right and wrong. And the takeover of powerful positions, coupled with the world being on the brink of war due to creatures like the hundjager, is enough to get him on the side of the other Wesen. Though Grimm has had many a good idea, there have been times where motives have been less than clear; you know something’s happening that has the potential to be a game changer, but you don’t know what or, more importantly, why it’s happening. Here, the what and the why have gotten a little more clear, unveiling the scope of the Wesen world and the instability that Nick is walking in on. The only missed opportunity here was having Nick learn about Renard’s royal blood, but something tells me that before season one comes to a close in May, he’ll find out his captain’s role in the Grimm world. And all this backstory, table setting, and interesting philosophy comes wrapped around one hell of a guest star. Grimm has been pretty consistent regarding its one-off appearances, gathering a lot of talent to come by Portland and have a bit of fun before being captured or otherwise incapacitated. But Sebastian Roche may have given one of my favorite guest performances on the show yet as hundjager and creature bounty hunter Edgar Waltz. There was a captivating mix of charisma, menace, and intellect to the hundjager, a mix that made every second of his screen time a delight to watch. You could see the viciousness of the hundjager, one of the roughest creatures in the Wesen world, just ready to come out, only barely controlled through Roche’s icy performance. More importantly, you could understand how he had gotten to the point that he had, thanks to the fairly cunning way he tried to have Nick “deliver” Ian to him. Very few one-offs have a big impact outside of their respective episode, but this one served as a warning shot to Nick and company that the higher-ups know you and they’re coming. Quickly. It’s a shame that Edgar had to be “put down”, if only because he’d make for a strong adversary and a constant threat to Nick, but it made sense and offered Ian a way to protect Rosalee and get a bit of closure along the way. 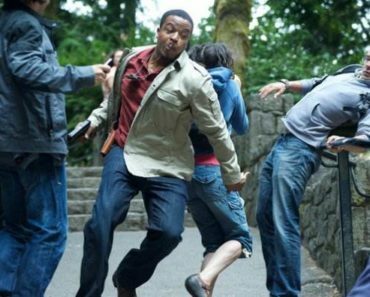 Grimm may not have had any major action or chase sequences in “Cat and Mouse”, but it became one of the more exciting installments to date, due heavily to the progress in the storyline and the places we’re about to go with it. Eschewing the in-the-trenches police work for a little history, a great guest performance, and a twisty game of, yes, cat and mouse, the episode felt a little more cinematic than normal, which is a good sign heading forward. For the longest time, Grimm had been stuck in a certain mode, but recently, it’s expanded the scope of what it can do visually and story-wise, something that could launch it from good to great in the upcoming second season. “Cat and Mouse” feels like the episode that could propel that movement in terms of quality or, to put it in Jersey Shore terms, it’s the episode before the episode. -Here’s a little about Fairy Tale Road in Frankfurt, Germany, birthplace of the Grimm brothers. -Bree Turner, who plays Rosalee, will be a regular come season 2. -Next week on Grimm: Nick gets in the middle of a major creature conflict, which makes one side summon the reapers to take care of him once and for all. Meanwhile, Juliette insists on having Monroe over for dinner.